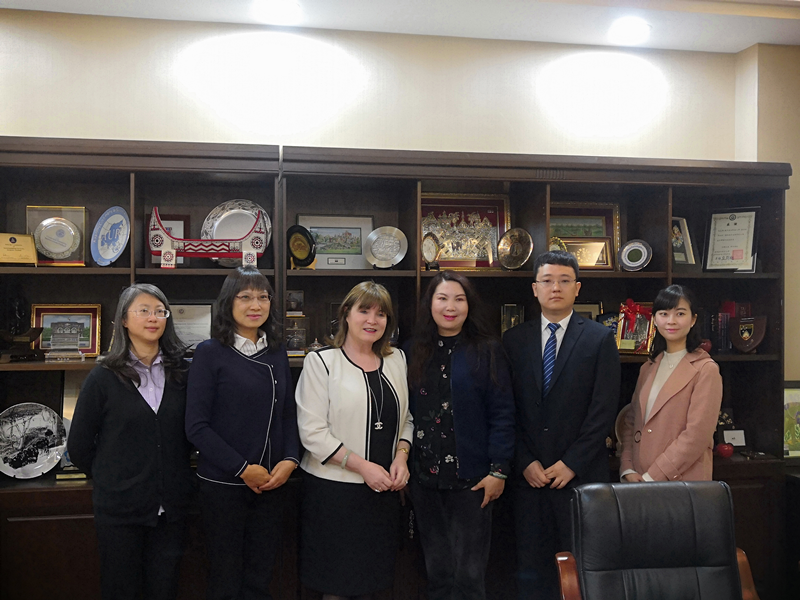 Invited by the Yunnan Normal University (YNNU), Prof. Jackie McCoy, Associate Dean Global Engagement, Ulster Business School, Ulster University visited YNNU on the 3rd April, 2019. Samuel WANG, YNNU Branch Manager of AEMG, accompanied the representative throughout the visit. Director Ying HUANG and Deputy Director Yi KONG of YNNU’s Office of International Relations warmly welcomed the guests. Led by Director Ying HUANG and Deputy Director Yi KONG, the representatives from YNNU’s Office of International Relations and Teaching Affairs Department had a formal meeting with Prof. Jackie McCoy. Paul PEI, Senior Officer from AEMG Global Engagement and Partnership Department and YNNU Branch Manager Samuel WANG also joined the meeting. During the meeting, the three parties fully discussed the current programs and reached a broad consensus on many issues. This visit has established a closer partner relationship between the University of Ulster, YNNU and AEMG, which sets a necessary foundation for new cooperation opportunities of the three sides.